I seem to be inundated with blues rock albums to review this month, as the Kris Pohlman Band are another power trio keen to ply their trade in this heavily populated genre. Formed by half English/half German vocalist/guitarist Pohlman, he recruited bass player Warren Richardson and drummer Elmar Stolley. Releasing their first full length album ‘New Resolution’ in 2009, the band has secured a reputation in Germany, winning the German Rock & Pop Award for ‘Best Blues Rock Band’. ‘One For Sorrow’ sees the band trying to capitalise on this success. ‘Soulshaker’ is a terrific opener with some heavy riffing, great blues rhythm section and some lovely use of a wah-wah pedal to add a slight funk feel to proceedings. ‘One Day Baby’ is another great blues workout which suggests to me Jeff Healey in his prime, before the groovy ‘Living A Lie’ kicks in. Here Pohlman provides some excellent guitar work to match his consistently strong vocals. There’s even a fine chorus to boot – talk about ticking all the boxes! Some fine quality bass work secures ‘Nothing’s Real’ as one of my favourites on the record. 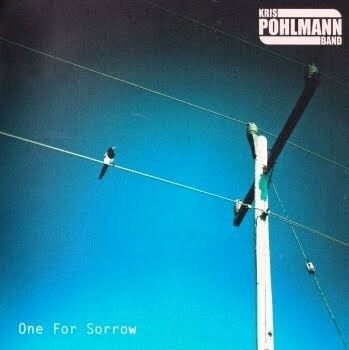 I like Pohlman’s guitar tone as well, it sounds superb and the record has an excellent production. From start to finish, each of the eleven tracks has something positive to offer. Pohlman’s voice is consistently good, the rhythm section is tight and the guitar playing is first class. Bassist Warren Richardson contributes lead vocals to ‘Nowhere to Run, Nowhere To Hide’ and he handles the job with aplomb. The title track is a stirring instrumental with a large Gary Moore influence woven through it, showing Pohlman’s lead guitar skills are of a high calibre. For only their second full length record, the trio have made a very strong album that is well worth the time of any fan of the blues rock genre. Very impressive!